When I first went vegan I missed breakfast foods, it is hard to find good vegan brunch even in the san francisco/oakland vegan mecca. Peet’s, a bay area coffee shop does sell vegan scones, but they are dry and its honestly easier to make them at home and have them for the week! 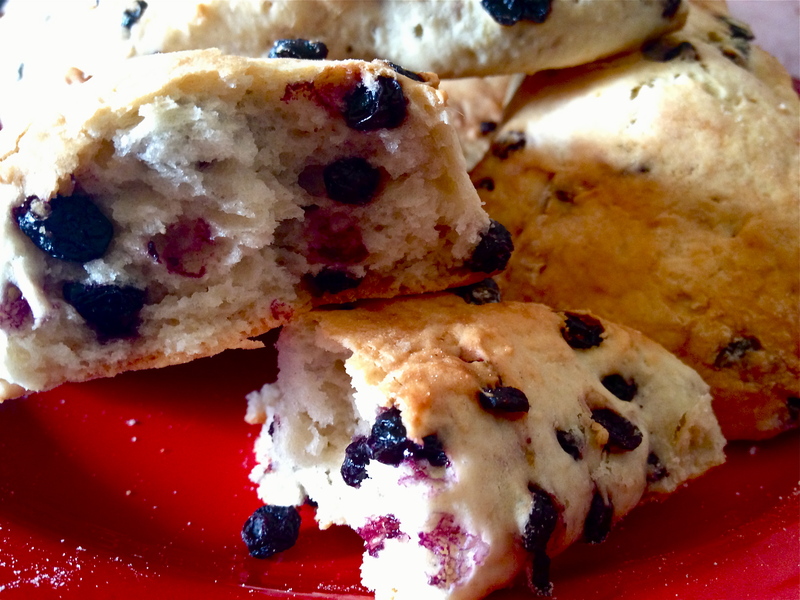 Thanks to coconut milk you can make 8-12 of these delicious scones to eat at your discretion. 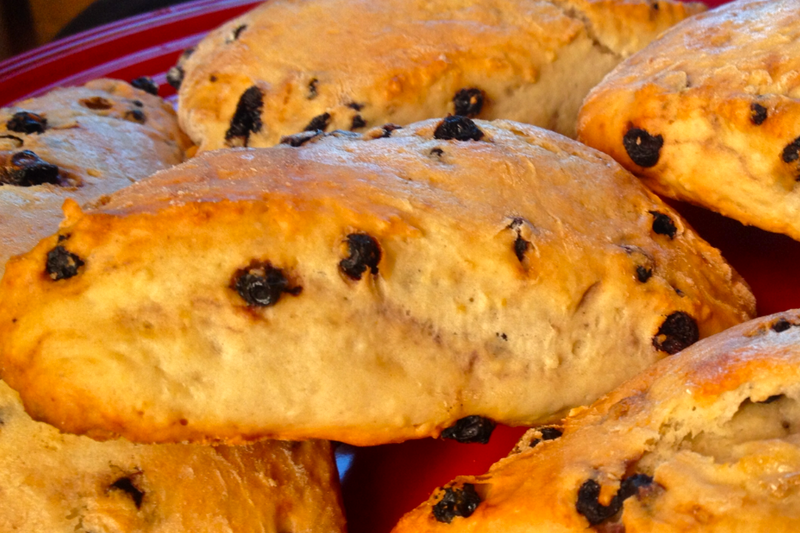 These are great with your morning cuppa and smell godly as they bake. I found this recipe on a blog called The Art of Dessert, but her dough came out very sticky compared to the pictures she was posting! 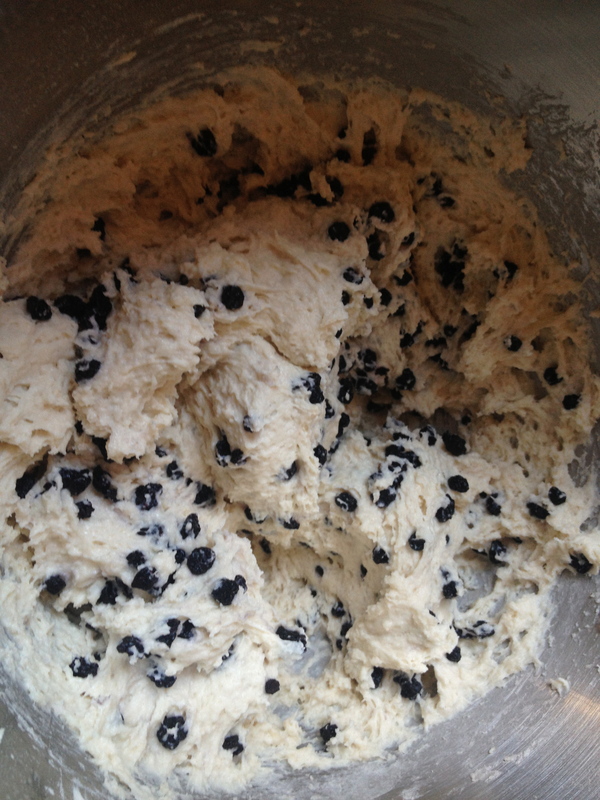 I modified it by adding more flour; Don’t be afraid to be creative…but try the recipe once before you go and experiment! 1. Preheat the oven to 425F/220C. 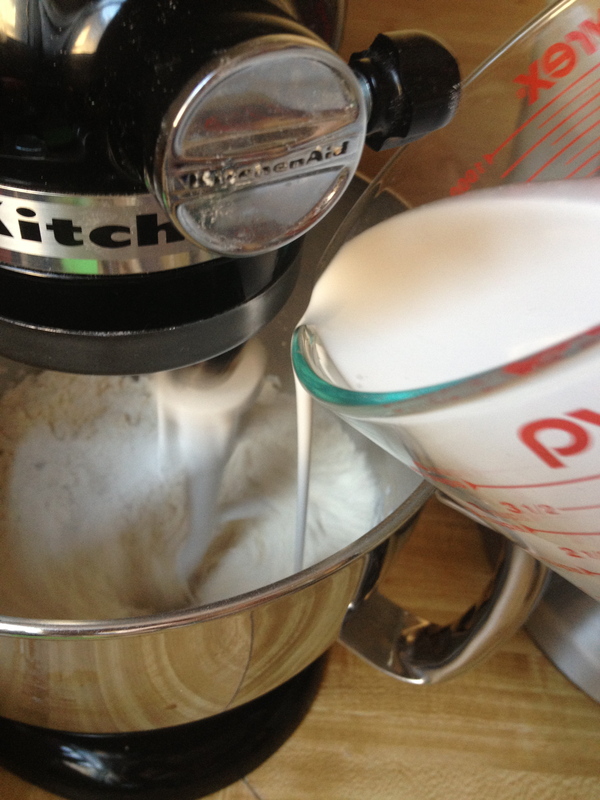 In a large mixing bowl, or stand mixer combine flour, sugar, baking power, and salt until combined. 2. Add the vanilla extract and then slowly pour in the coconut milk and mix until just combined. 3. Fold in the dried fruit. 4. 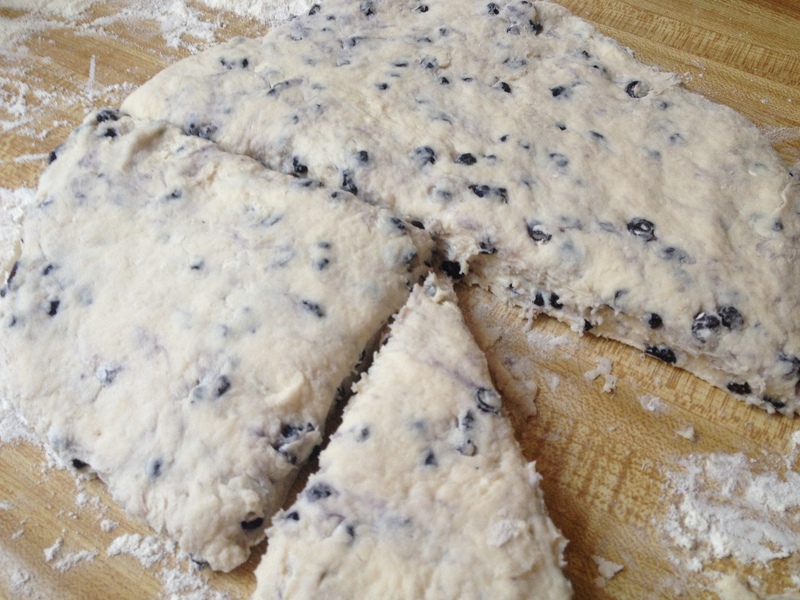 Plop the sticky mess of dough onto a well floured surface and press into a 1/2 in round, the dough is done being floured when it no longer sticks to you or the counter. 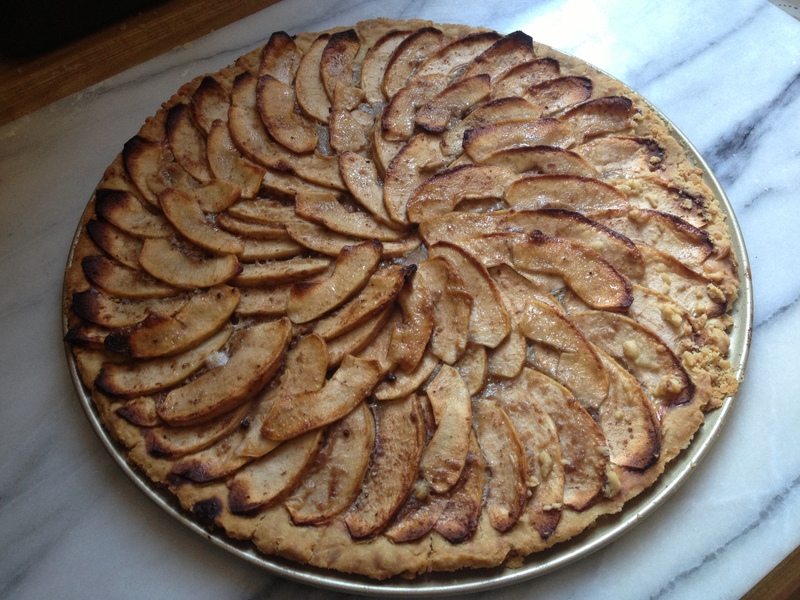 Cut up the round into 8-12 pieces and place on a parchment or silpat lined baking tray. These will spread a little so take care not to place right up against each other, but they won’t spread as much as cookies because the baking powder makes them raise instead of spread! Using a pastry brush spread a bit of coconut milk on them taking care to not put to much as it will slide off and burn the bottom of the scone as it bakes. Sprinkle with raw sugar. 5. Place into the preheated oven for 15-20 minutes until the tops are golden brown. 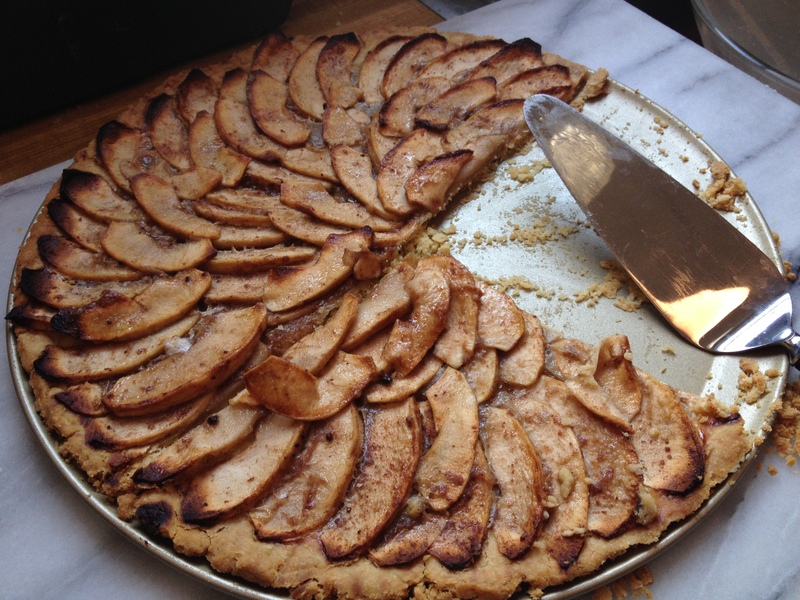 Remove and eat immediately…well after they cool of for a minute. Store the rest in an airtight container, they can be reheated in the oven for a minute or two, or placed in the microwave if your in a real hurry.